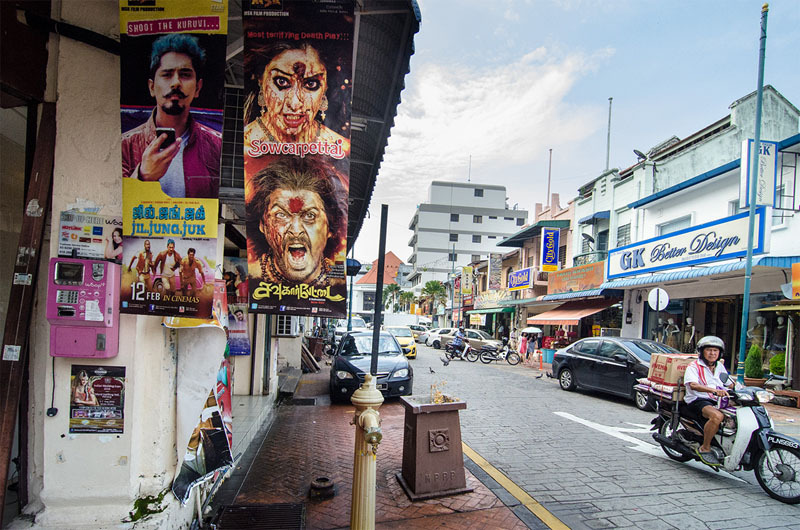 Before I came to Georgetown, Penang, I had images of the colorful colonial houses, the street art, and the hawker foods in my mind. 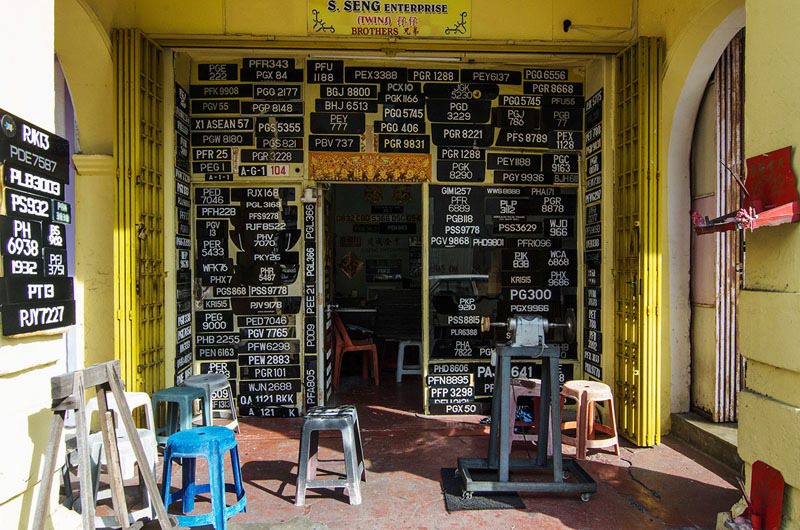 Actually walking through its streets, I discovered a lot more about Penang’s character. From its multicultural influences and history to the everyday happenings along its streets, join me on a photowalk through this UNESCO World Heritage Site. There are a lot of ways of exploring Georgetown. There’s the Central Area Transit (CAT) bus route going around town which you can catch for free. If you’re in for a little throwback feel, you can take the rickshaw. Going around by bicycle is also an option. But for me, walking is without a doubt the best way to explore this colourful town, especially if you’re on the lookout for the cool street arts. At first, I was only focused on finding these burgeoning street art installations. 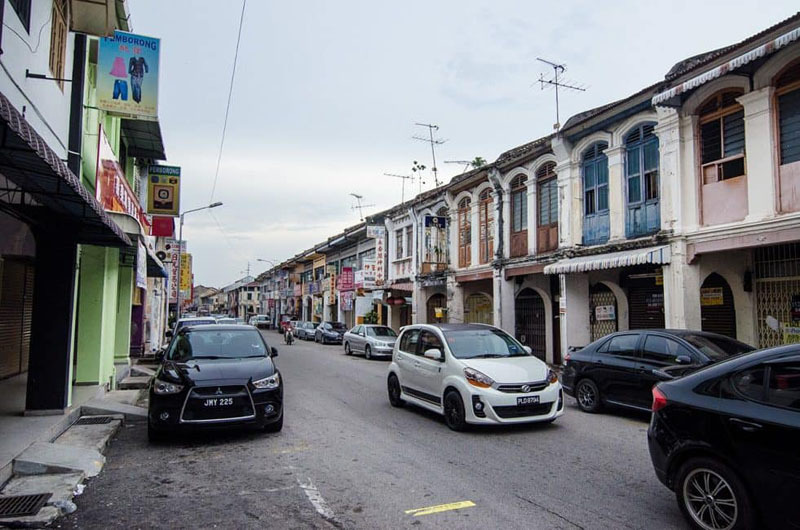 However, the more I walked through Georgetown’s main streets and narrow alleys, the more I found myself enjoying small slices of history and life in Georgetown. 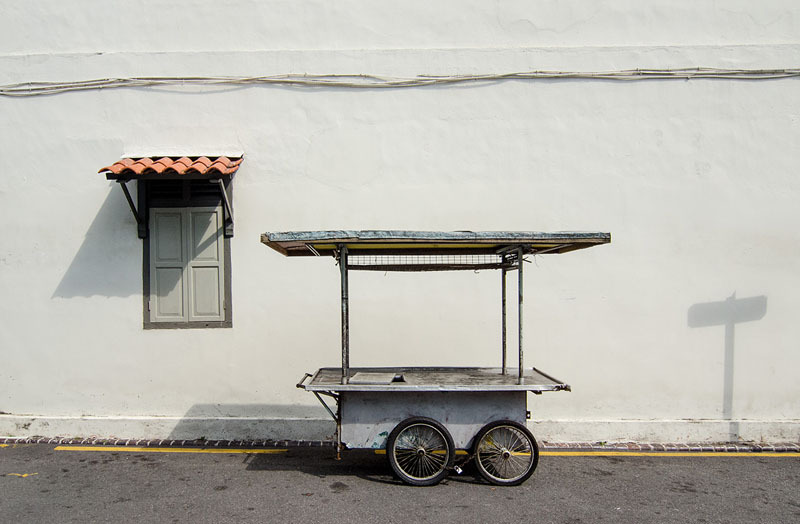 Apart from street art and hawker foods, here are a few snaps from photowalking the streets of Georgetown, Penang. The shophouses also have their own unique architectural features revealing the influence of Chinese and European styles. 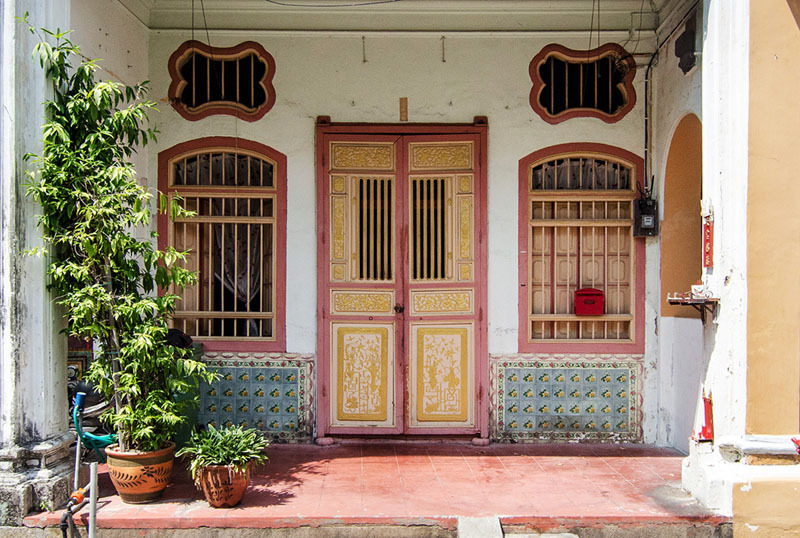 This door, for example, is a representative of most shophouse styles in Georgetown. The carved timber door, butterfly-shaped air vents and small shrine at the right of the five-foot way are all from Chinese influence. The tiles below the windows are touches of Europe. 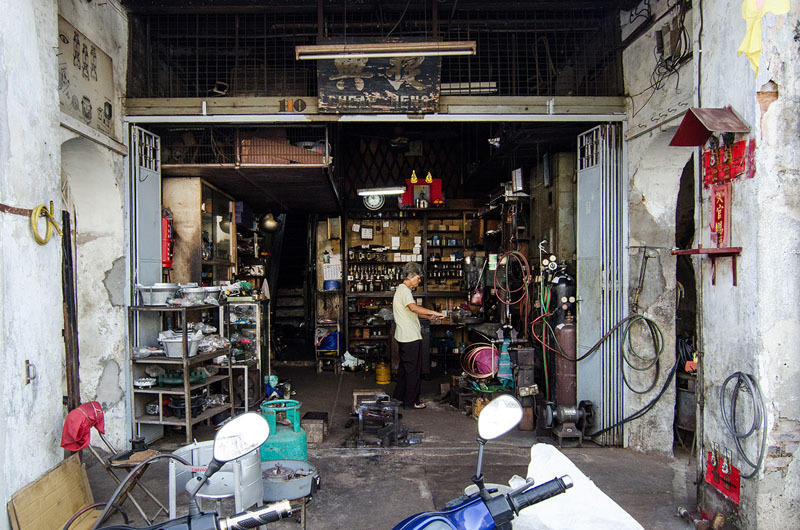 Some shops, however, are now converted into roll-up shutter doors. 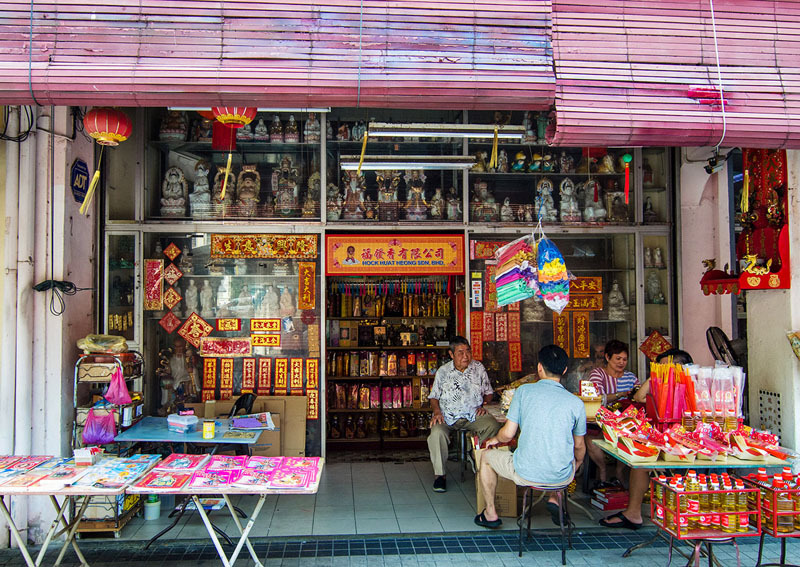 What I loved about strolling along the row of shophouses is peeking through the array of goods they sell, from ceramics, metals and food to religious items, and what have you. 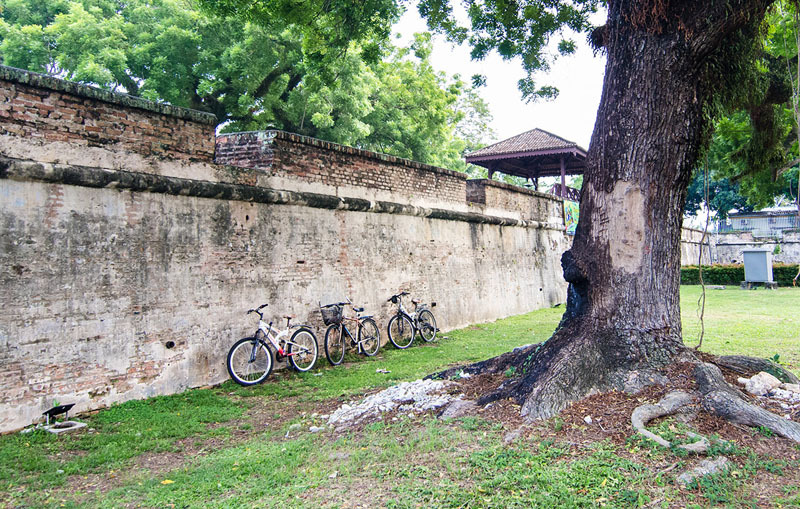 Want to bring your photowalk of Georgetown to the next level? Check out how to Improve your photography with filters. One thing I found strange though is some bathroom sinks located along the five-foot walkway. 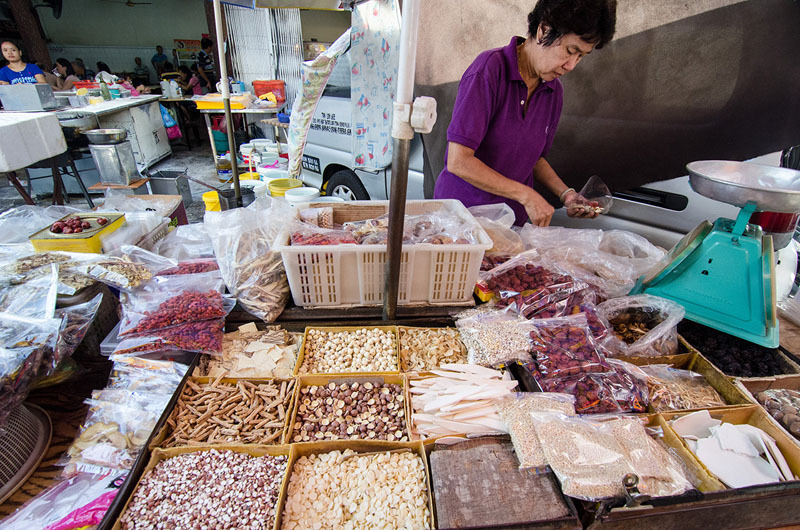 Read our Malaysia Travel Guide for travel tips about this country. 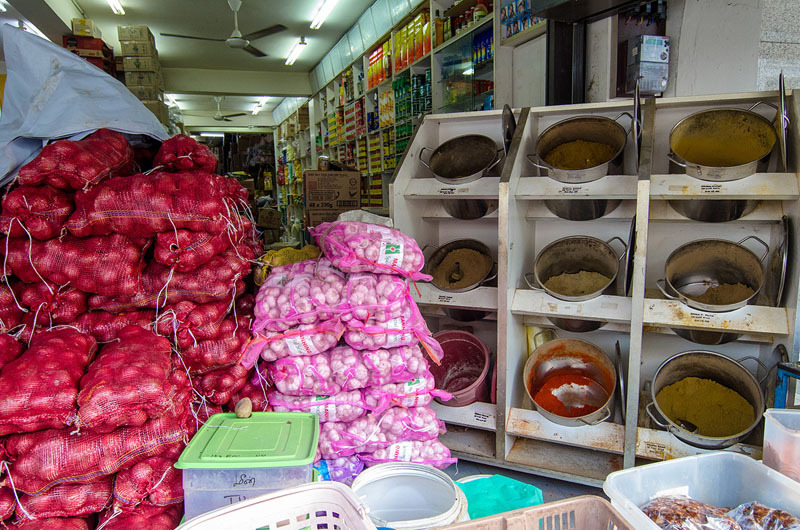 I’ve never been to India, so walking through an Indian bazaar is something cool. 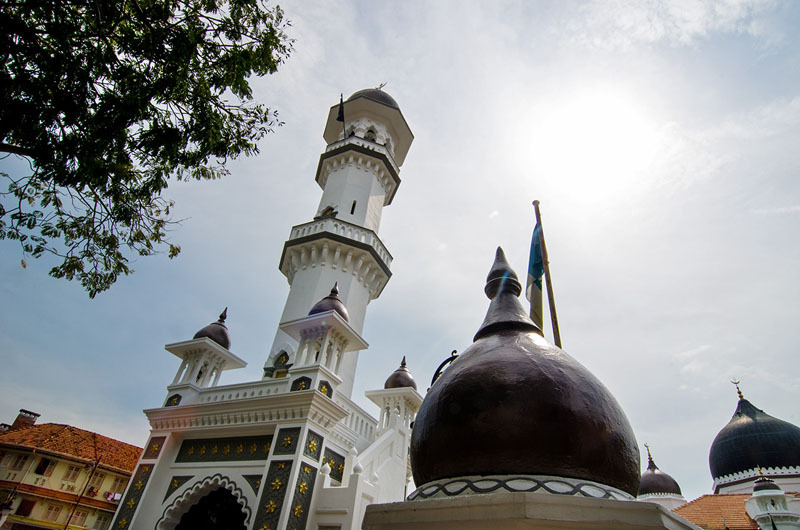 The area covers three streets – Lebuh Queen, Lebuh Chulia and Jalan Pasar. I let my senses feast on the traditional costumes, jewelry items, spices on sale and the Indian music playing in the air. 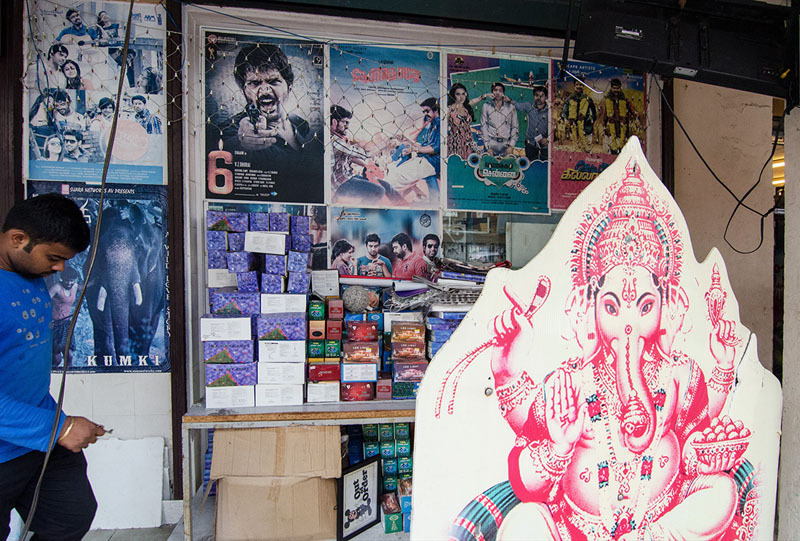 The literally bloody Bollywood movie posters definitely caught my attention. 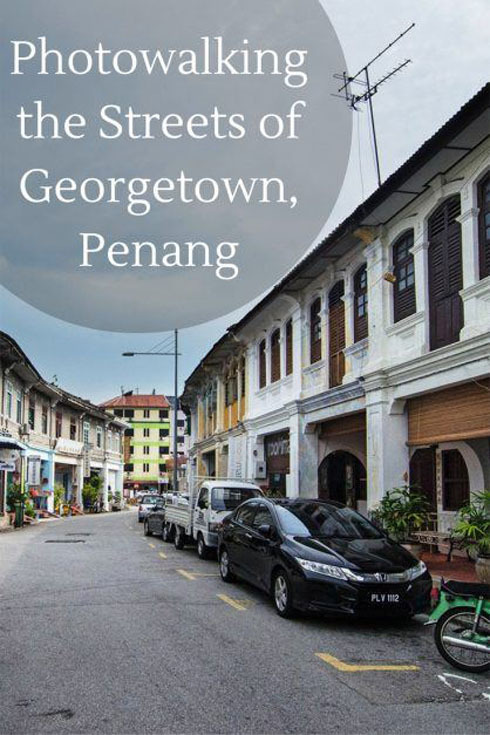 Georgetown represents a fusion of cultures from Malaysia, India and China, as well as British influence. 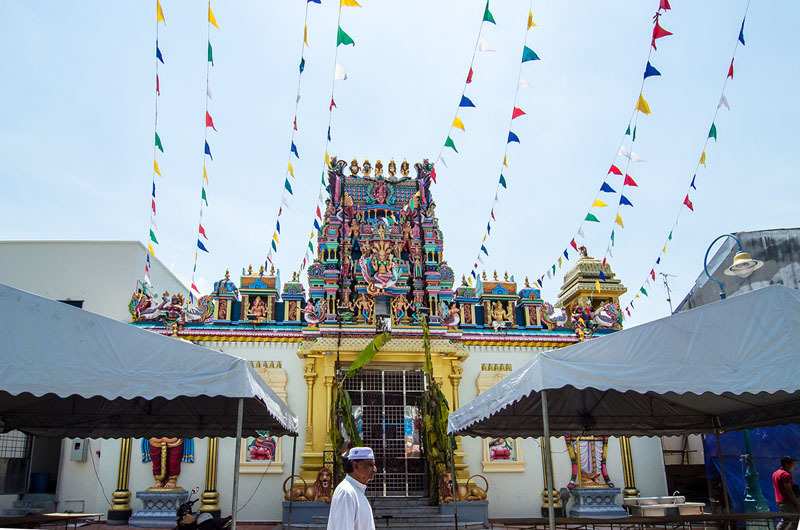 In fact, there’s a single street in Georgetown called the Jalan Masjid Kapitan Keling Street, where different places of worship are harmoniously co-existing. 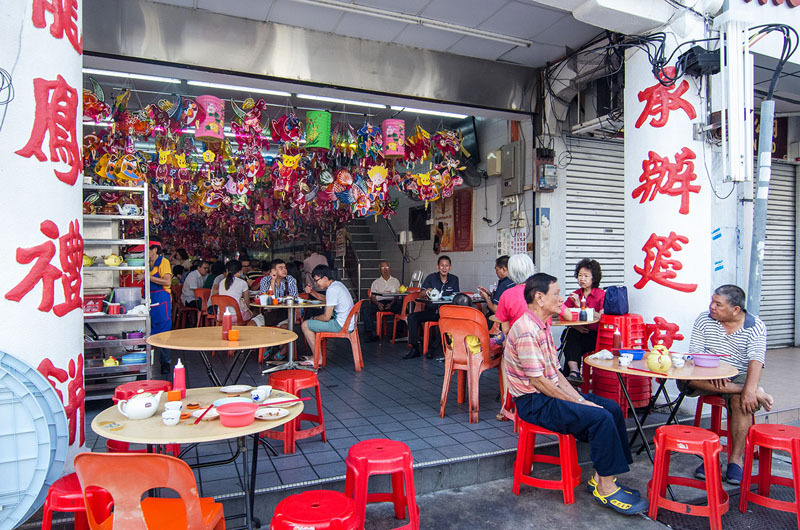 Hence, it is also known as the Harmony Street. 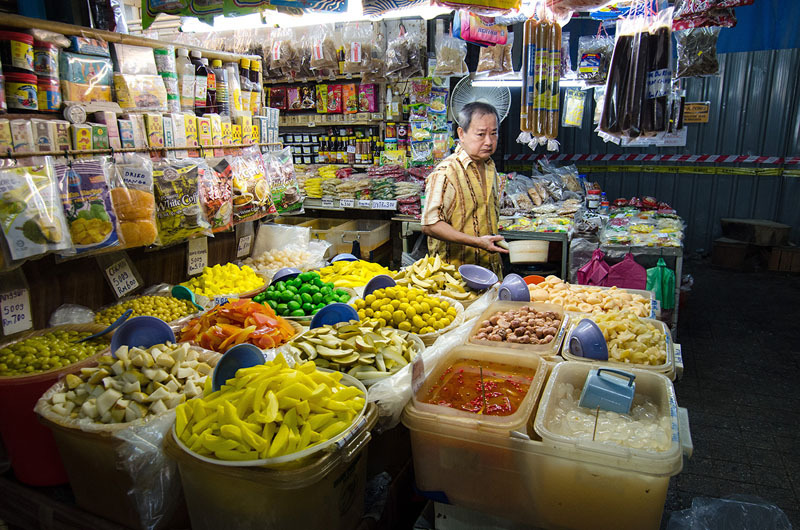 Street markets define the character that is Asia. 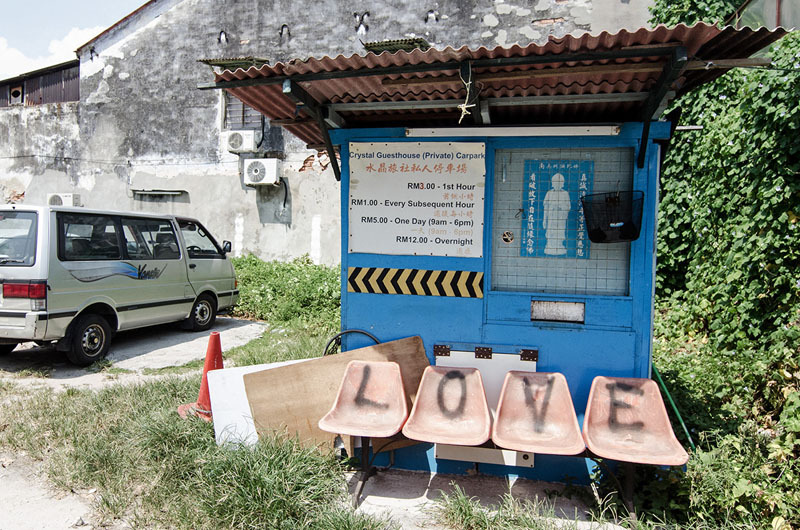 I came upon one along the area of Jalan Chowrasta and Penang Road. 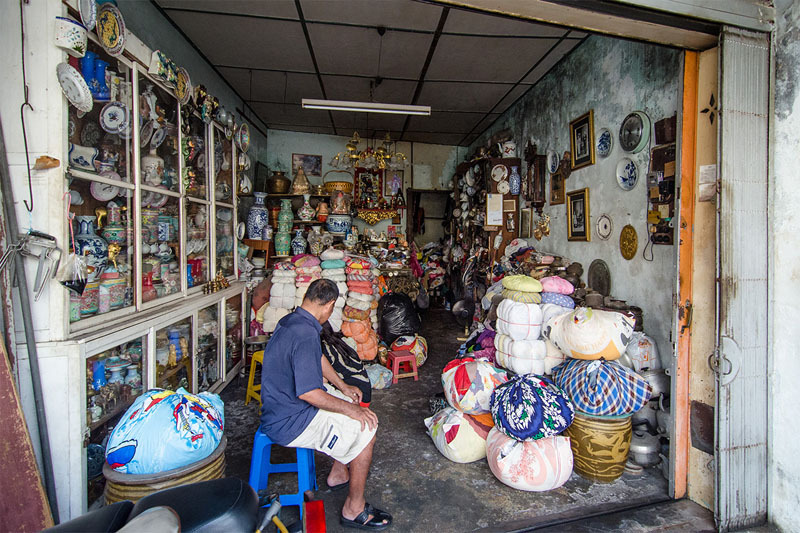 This is the place for cheap bargains, souvenirs and local products, the most famous of which is buah pala or nutmeg. 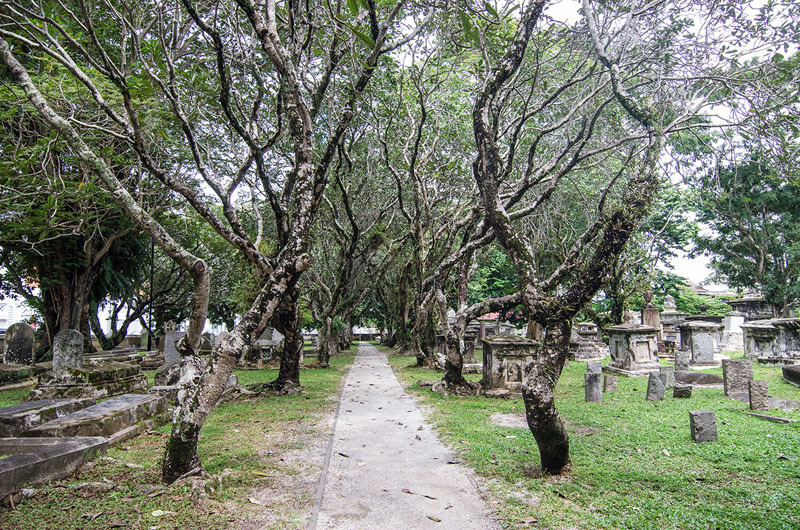 Georgetown may not be the part of Penang to enjoy nature but there are a few corners of the city where you can see greens and the sea. While walking the streets of Georgetown, I clicked on anything that captured my attention, even the little things mundane. Here are some snaps. To sum it up, the long photowalks were all worth it. 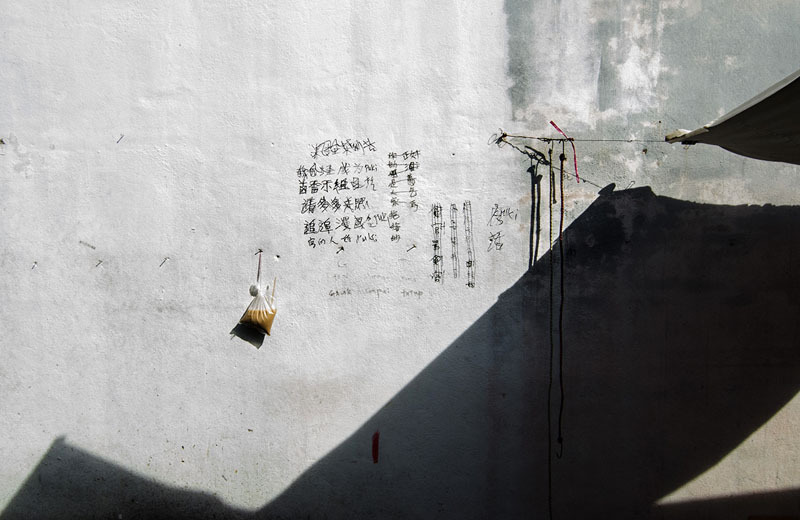 I extremely enjoyed walking down the streets of Georgetown, Penang despite the heat of the sun. I hope you enjoyed the walk with me. 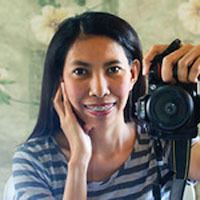 Jing Calonge is an environmental consultant from the Philippines who happens to love travel and photography. She considers traveling the best way to discover not just the world outside but to learn of oneself. She writes about her travel experiences at www.findingjing.com. You can follow her on Facebook, Twitter and Instagram. 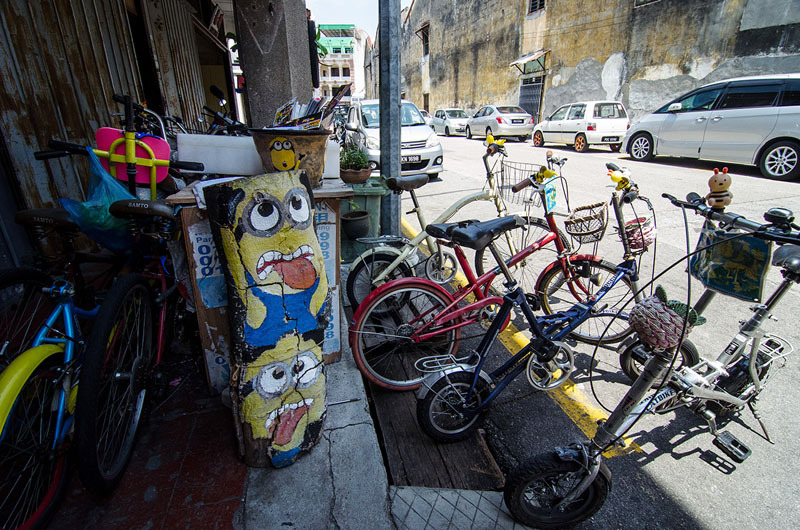 22 Responses to "Photowalking the Streets of Georgetown, Penang"
Eu gostei tanto.. achei lindo mesmo! Best place in the whole world. Just wonderful! The world and its charms … How good to know new cultures! 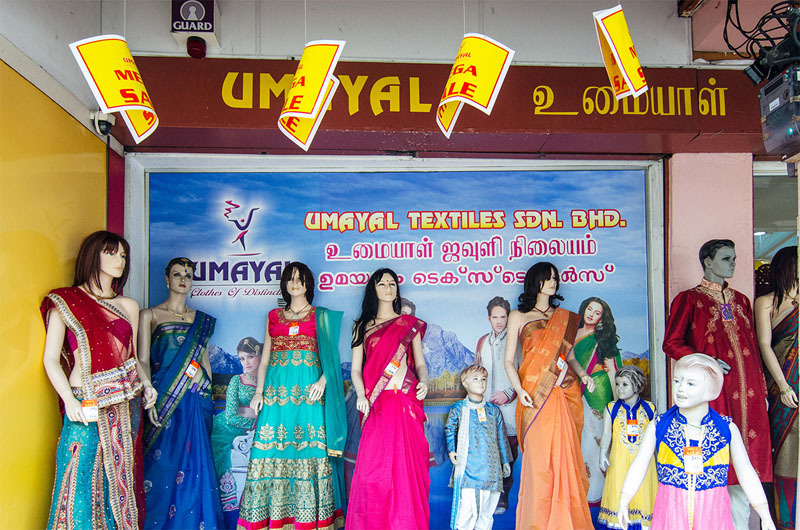 @Jimmy and Tina, I’m referring to the photos right above the “Little India” heading. Rayvin (first comment) has given a pretty sensible answer to this. 🙂 I would also agree on enjoying the market scenes. 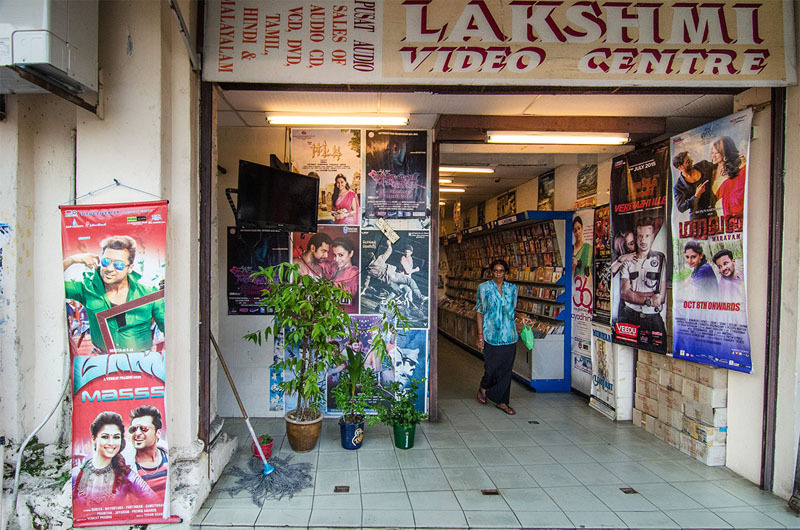 I was in Penang 5 years ago, liked the vibe there – this post reminded me of that. Although, I really do miss the fantastic street food. I’m amazed at how small the shop houses are. I was wondering what the picture was when you pointed out that it’s the bathroom sink, that would be strange to me as well, always carry lots of hand sanitizer. 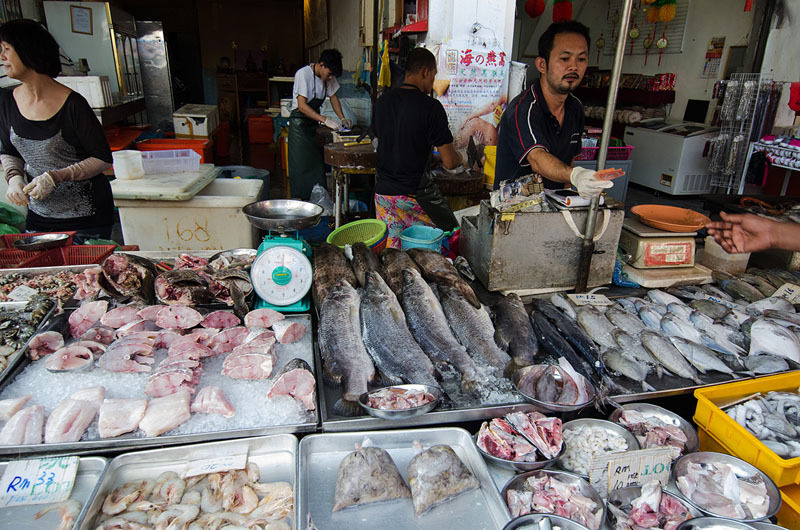 The markets looks wonderful and I could spend so many hours just walking around and seeing all the different things they have. It looks like you had a pretty amazing trip. The streets look like they are really fun to explore! 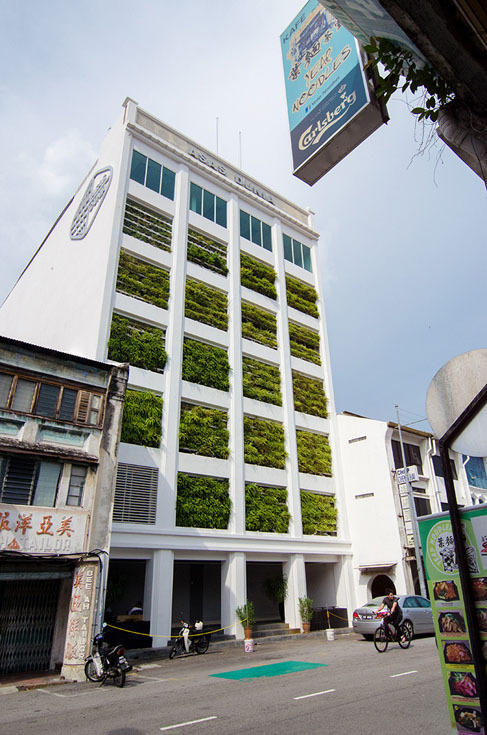 I love the “green” building; how unique! Awesome city captures, and the seaside looks really relaxing! 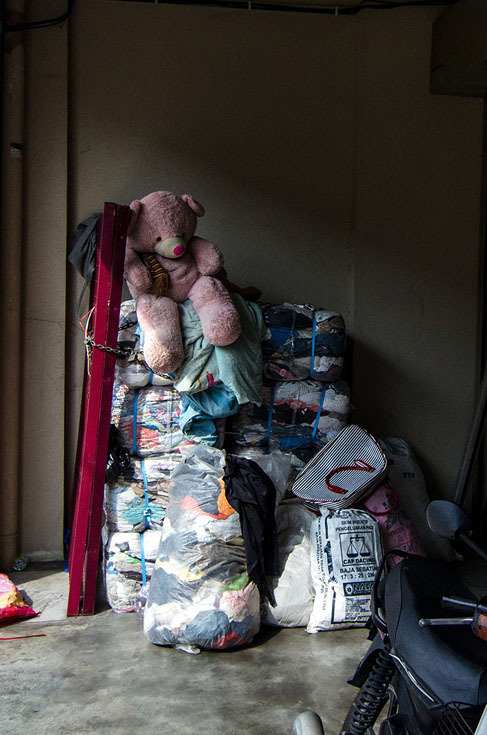 The photos show a beautiful contrast, between the beautiful and what is seen most in the world, the real life. Very good. They say a picture can tell a lot..and yours certainly does. 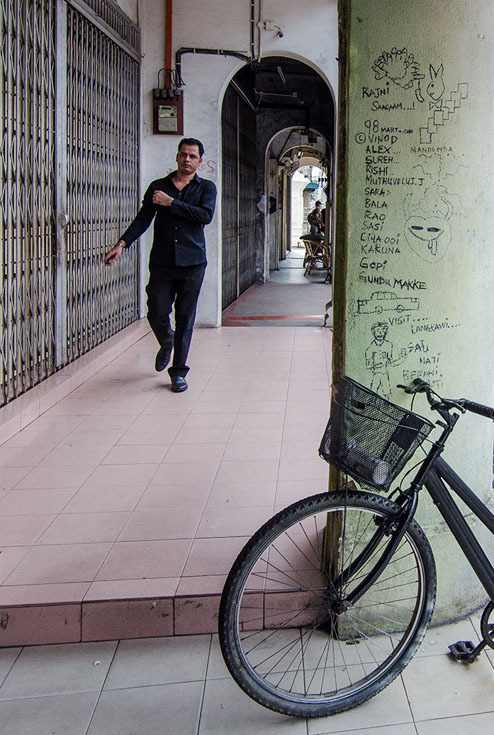 Each of them depicts an accurate portrait on Penang life. Truly fascinating. A great post! ? You captured really great pictures in your travel trip….. What a wonderful and informative post. Thank you so much for sharing it. 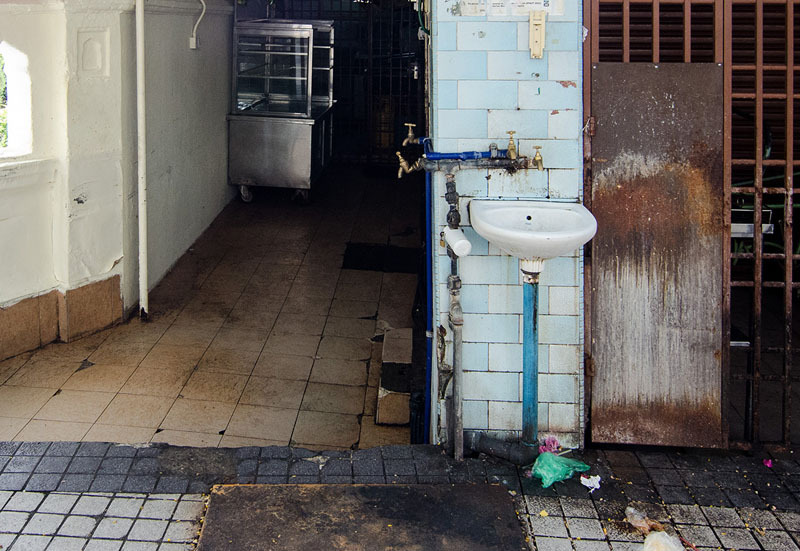 The sinks indicate that the establishment was once anot active restaurant. Most restaurants back in the old days provided a sink in the front for hand rinsing prior to and after a meal. The sinks indicate that one point in time, the establishment was running a restaurant. Most restaurants offer a sink to rinse your hands before and after a meal.